Having a healthy lifestyle can be a successful way to prevent serious injury. Regular exercise/physical activity can help to improve your heart circulation, maintain or help you lose weight, assist in relieving stress and energise you. Aim to do 30 minutes of moderate aerobic activity, 5 times a week and strength exercises on 2 or more days a week. Any exercise that raises your heart rate slightly is good for you; examples include fast walking, water aerobics, riding a bike. Try to incorporate exercise into your daily routine, e.g. using the stairs instead of the lift, park the car further away. If you have not exercised recently or you have any pre-existing medical conditions you should speak to your GP or a healthcare professional before starting any new activity. Whilst keeping active after injury is important, any exercise should be done in a gradual and controlled manner under the advice of your clinical team. Healthy eating benefits all of the population, from children of 5 years old to all adults, unless otherwise advised by your doctor or dietitian. For those trying to lose weight it is helpful to divide your plate into these three sections at meal times. 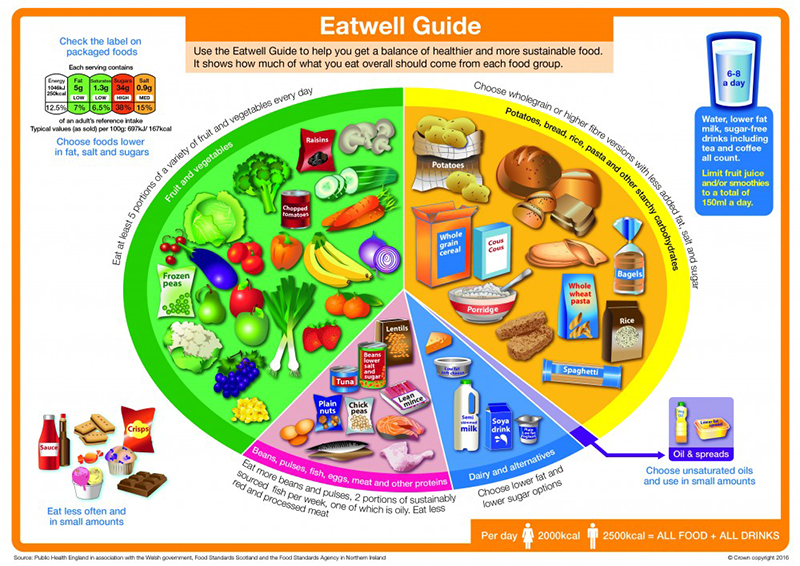 The green section (half the plate) being the vegetables/salad, the yellow section (1/4 of the plate) being the starchy carbohydrates and the red section (1/4 of the plate) being meat, fish and alternative protein sources. No more than 2 units / day with a maximum of 14 units a week. Everybody should have two or three alcohol free days a week. There is no safe level of alcohol to drink during pregnancy. Be aware that home measures of alcohol may be larger than a pub measure. If you are watching your weight then limiting your alcohol intake is sensible as it is high in calories. You will need to recover fully after any major surgery and your clinician will inform you of the safest time to resume sexual activity. Please read the patient information booklet you receive as the advice will be dependent on your procedure and expected healing time.